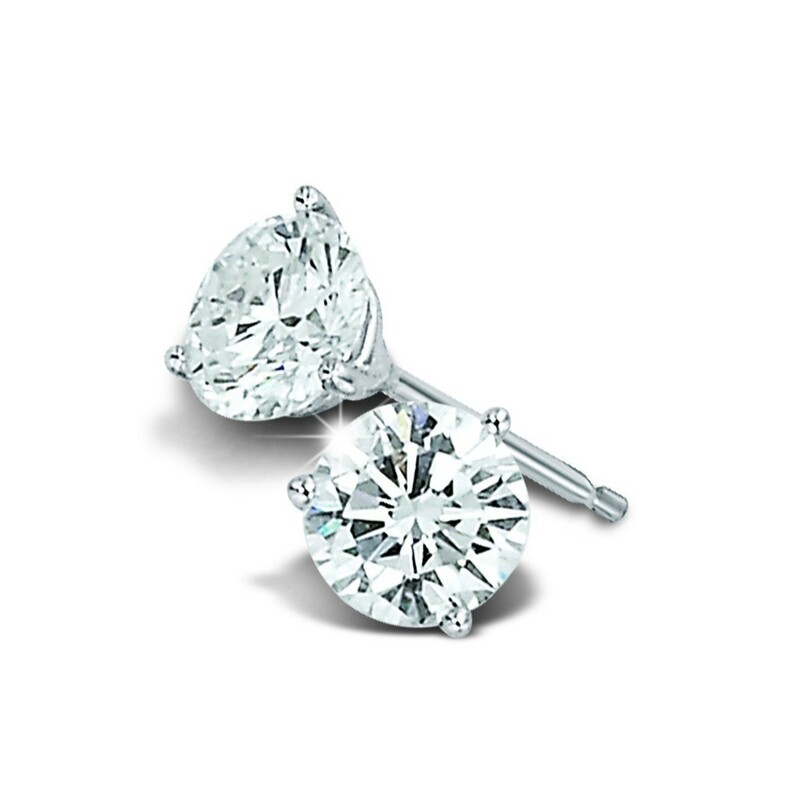 Starting at $400, these beautiful round brilliant diamond earrings in their sleek, handsome mountings will delight all with the fire and sparkle of their refined precision cut. The underlying tulip shape of their mountings serves to widen and enhance the appearance of the lovely diamonds in the eye of the viewer. Large enough to impress, yet lightweight enough for comfortable wearing, these earrings will win the heart of any woman who possesses a passion for diamonds. All sizes available.